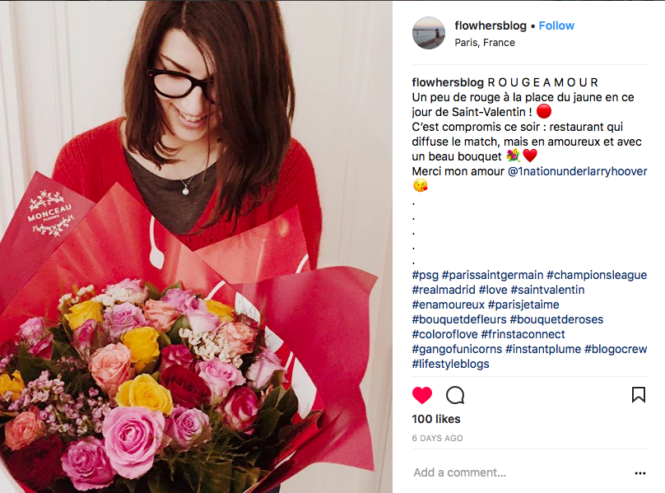 And here we go for the 4th edition of the Instant Plume, and the good things of the month of February! 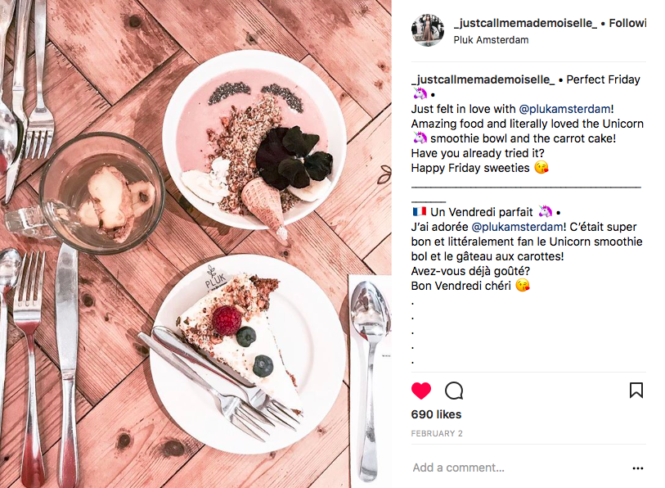 As usual, the purpose of this post is to share some of the favorites of the month, and also some #instantplume posts made by YOU on instagram, when something made you HAPPY in February. I tell you every month, but, THANK YOU a 1000 times for sharing your good vibes and your little moments of happiness with this hashtag! All those small happiness moments added together = a great wave of happiness that we all share ! And we can never get enough of that, don’t you agree ? Hey by the way! If you’ve never used the #instantplume hashtag yet it’s still time to start, if you like the idea! 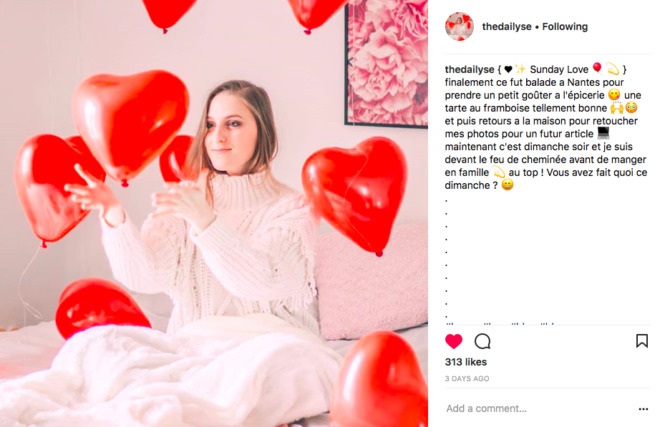 In fact it’s really simple: you insert it under your instagram posts as soon as you post something that makes you HAPPY. 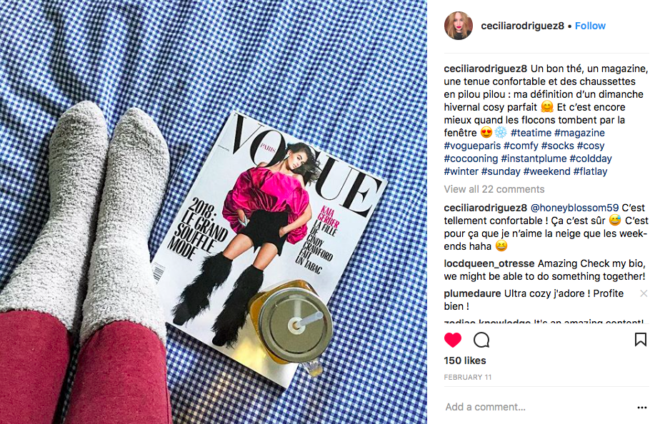 A favorite product, a good time, a Hygge moment at home, your adorable pet, etc. You got it! Something that makes you happy and that you want to share. 1. I’ve knitted a 3D heart ! Haha, yes, so here I admit I was pretty proud. I told you about my new passion for knitting already in the Instant Plume of January. 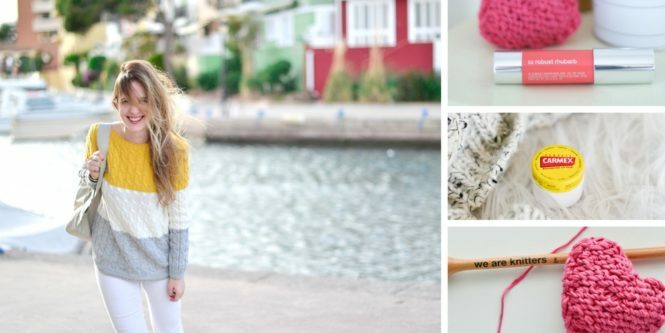 So, since then, I multiply new knitting projects, getting my inspiration from free patterns I find online. 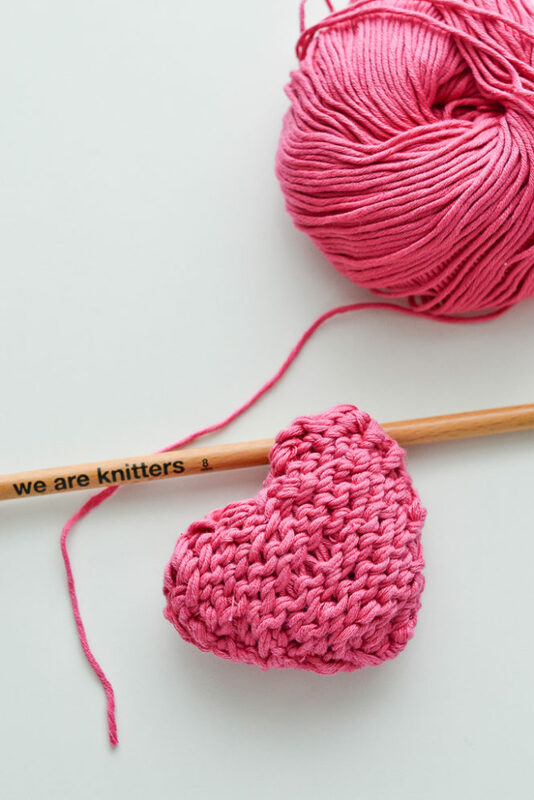 For Valentine’s Day, I was inspired by the pattern given generously by We Are Knitters to knit a heart (which you will find here for those who want to try). Rather easy, and really too cute, right? So, it made me want to try to knit a teddy, hehe. I have a friend who is expecting a baby, it will be perfect as an excuse to train myself ! This month, it’s two products from Clinique and Carmex that have pleased me the most. Clinique is a brand I’ve been using for years, since I actually started to put on some make up. I have never been disappointed with their products. And I do not know if you’re also using their Chubby Stick, which is a cream cheek blush, but I’m a fan of it. I mentioned it to you in my first YouTube beauty tutorial and in this post. Well, well in February I tested a new color and wow … I love it! Fresh, bright, perfect for the coming spring. 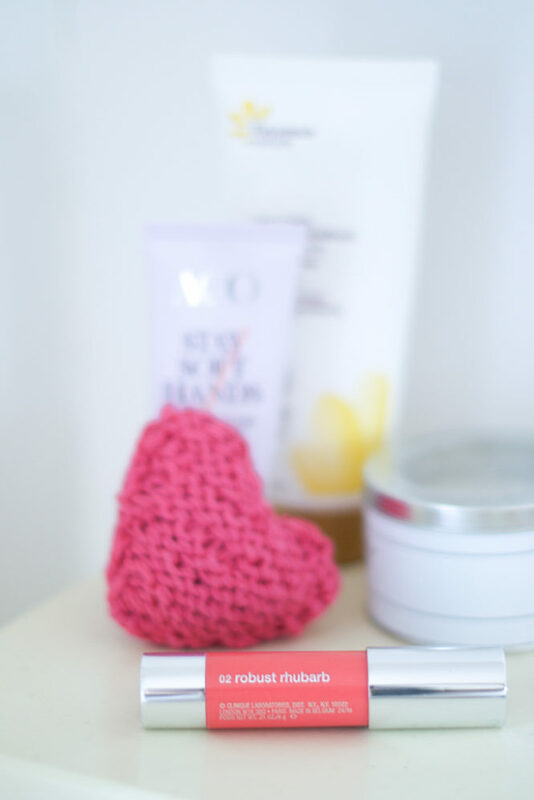 I can only recommend it if you want to give a boost to your pretty pink cheeks! 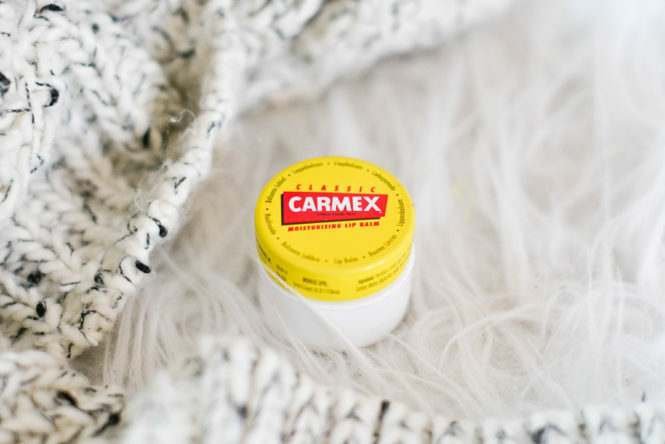 The second product that really pleased me was this Carmex lip balm. Here, in the Scandinavian countries, it is one of the favorite products of all beauty bloggers and Youtubers. I will be sincere with you, at first I asked myself a little “why …?”. The packaging doesn’t look so good (very medical, not very glamorous), no fruity smell as I like … but hey I still tested it for curiosity. And … I can tell you something: what it doesn’t have in the aesthetic and glamor side, it catches it up to 1000% in efficiency. It’s simple, as an addict to lip balms (I must confess), I had never found such a qualitative product. No more dry lips, ever! But instead soft and beautiful lips! It is SUPER moisturizing, and in addition its small minty effect is really pleasant when applying. In short, personally, I do not change anymore! I found my lip balm ! And so of course I recommend it! Plus it doesn’t cost much ! This month, there was a first real interview of the blog on Hivency. Ouh la la, so serious ! Hihi. 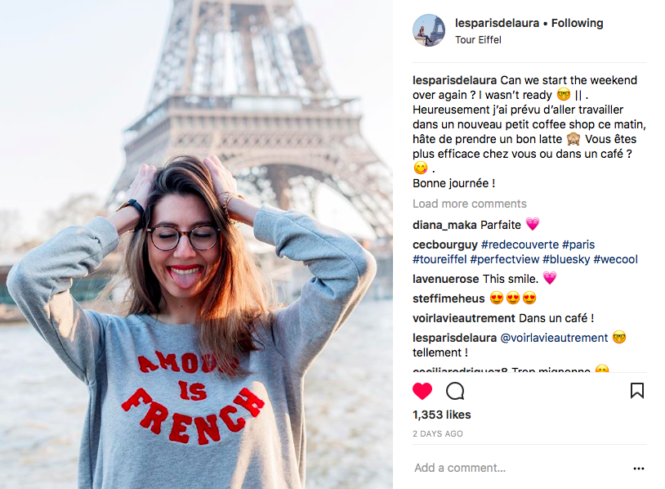 In fact, there was already an interview in June 2017 with the topic “4 French instapreneurs best tips” on Sparkle Inspire blog (that you can read here) but where it was just a few quotes & tips to stay motivated every day, for a creative morning routine, etc. But this one is my first real interview with lots of questions. It’s weird. It’s in French unfortunately, but I thought of sharing it to you anyway as it’s so easy nowadays to translate with Google! 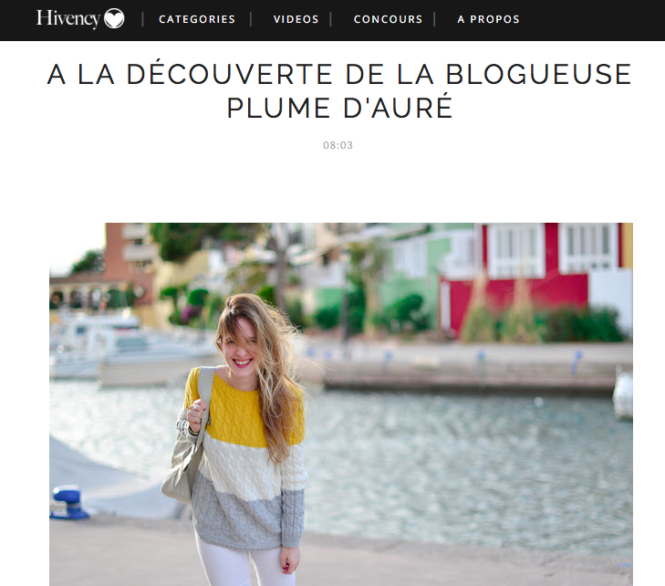 If you want to check it out, I talk about how I started the adventure of blogging, the origin of the name “Plume d’Auré”, the organization and time that take an article, etc. This way : My interview on Hivency. Like every month here are some of your posts #instantplume that I particularly liked. It is always hyper hard to choose and it takes me 1 hour because I love them all! I like going to see your posts every night that I comment one by one <3 you’re really great! Today we shared a total of 1,158 posts (WOW!) and 1,158 small pleasures that create an ocean of good waves and colors. Thank you for your participation and for being part of our group of HAPPINESS merchants! Because I’m just a fan of this positivity message! 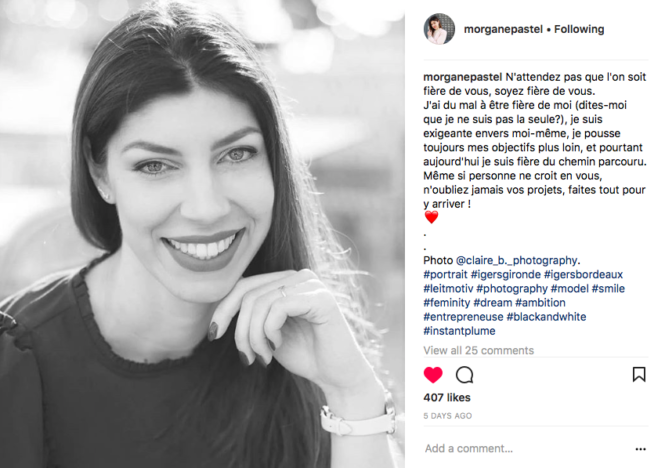 Yes, @morganepastel, let’s be proud of ourselves! There is no harm in loving yourself ! People even say that you must love yourself first in order to be able to love others! 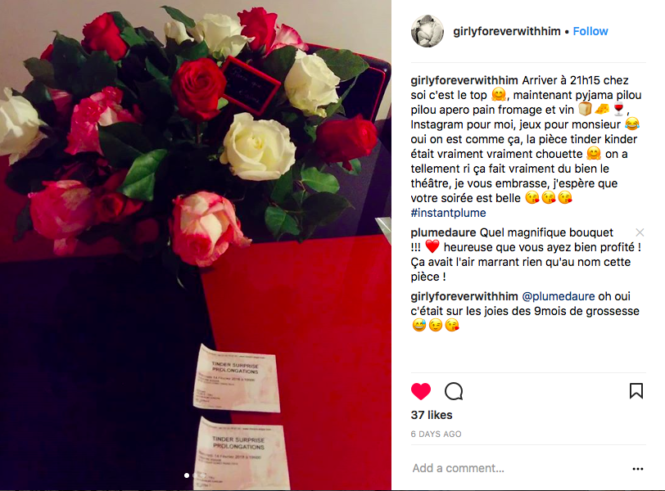 Another super girlboss! Oh, beautiful roses! thank you my pretty @girlyforeverwithhim for sharing this cute souvenir with us ! Same for @flowhersblog who has been spoiled for Valentine’s Day ! So gorgeous bouquet ! 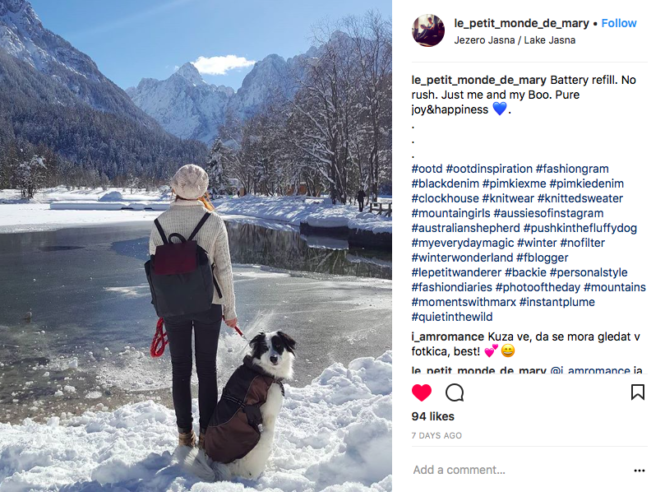 Slovenia… It has been a while that this country is on my bucket list and @le_petit_monde_de_mary reminds me how much I have to go visit its mountainous and snowy landscapes! 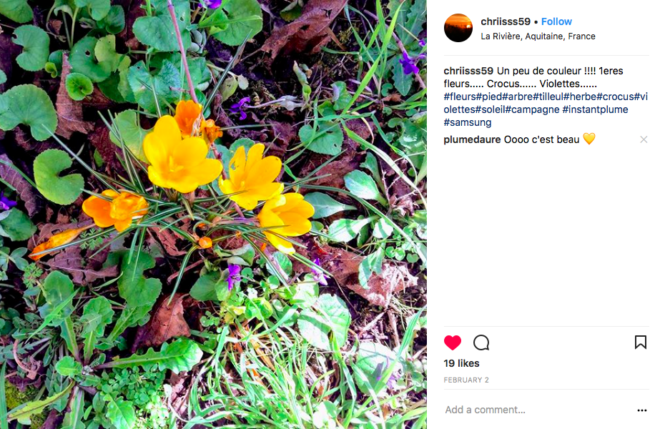 It is true that it is a real happiness when the first spring blooms appear @chriisss59 ! An unicorn smoothie bowl ? OMG, I love it! I’ve never seen that ! Just for that we have to join @_justcallmemademoiselle_ in Amsterdam, isn’t it ? Thanks again to my little merchants of happiness for all these beautiful photos and beautiful moments! Looking forward to seeing more pictures in March, with the spring that will point the tip of his nose I feel that it will be BEAUTIFUL! Kisses ! 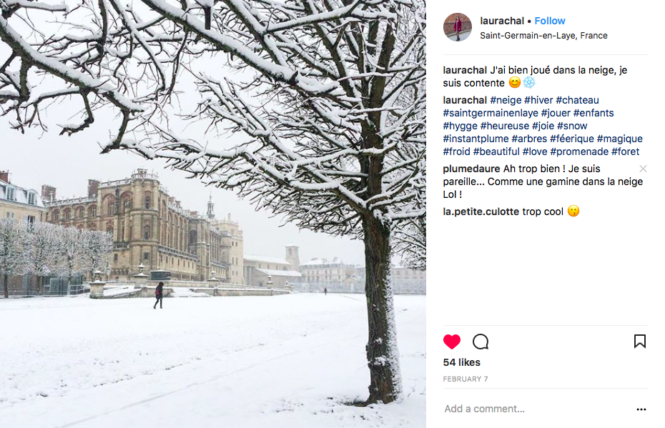 And again, do not hesitate to insert the hashtag #instantplume under your instagram posts to continue our HAPPY chain! Previous Post Half a lemon in the morning : a health & beauty secret !